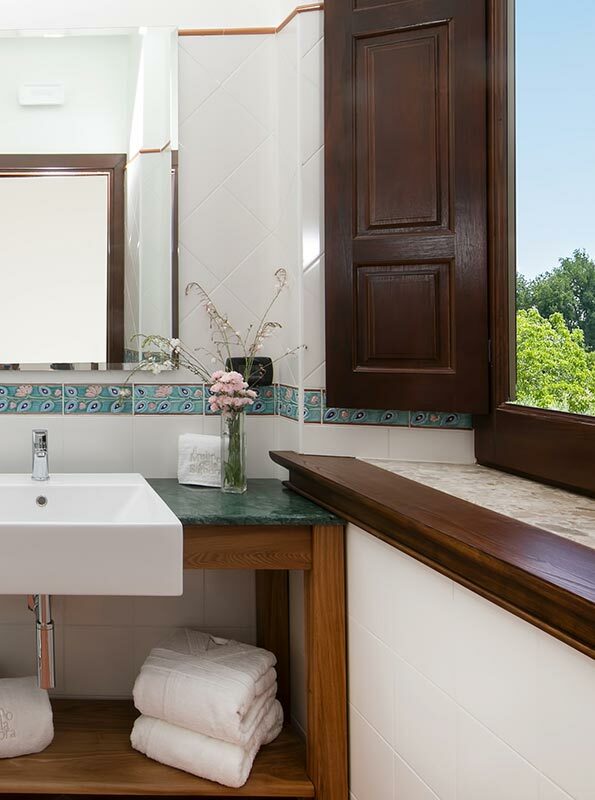 For a weekend in nature, to start discovering the wonders of Irpinia, for a full immersion in the most genuine flavours of the territory, the rooms and suites of the Mulino della Signora, surrounded by the lush park, have the same warm, sober, and reserved atmosphere of the past. 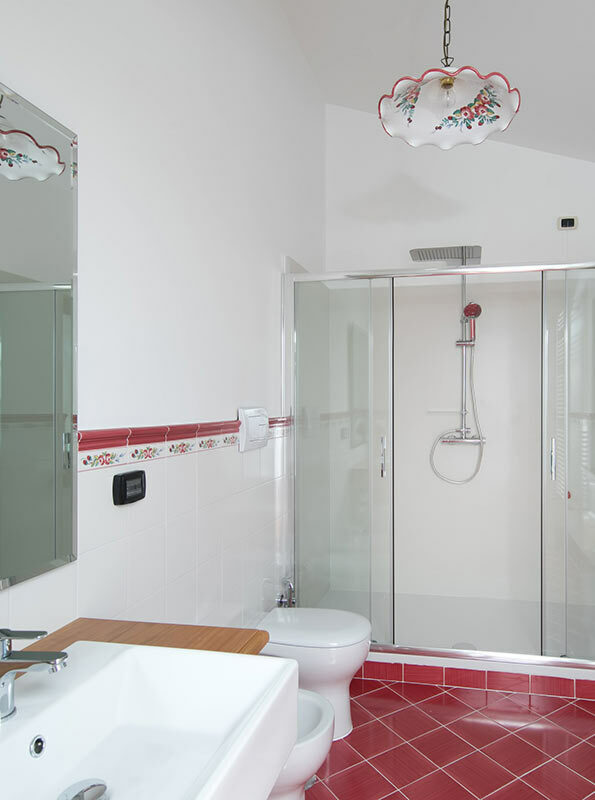 Spacious and bright, comfortable and elegant, ensure privacy, comfort and relaxation. The breakfast, included in your stay, has the scent of southern mornings: coffee, freshly baked cake, oven fragrance, and the colours of the sun, fresh fruit, golden honey, jam made with our fruits. For an awakening full of energy and positivity. Camellia, Magnolia, Rosa, are the rooms of the Mulino, on the first floor of the central body of the farmhouse. Overlooking the large entrance square, they offer a view that stretches across the surrounding hills. 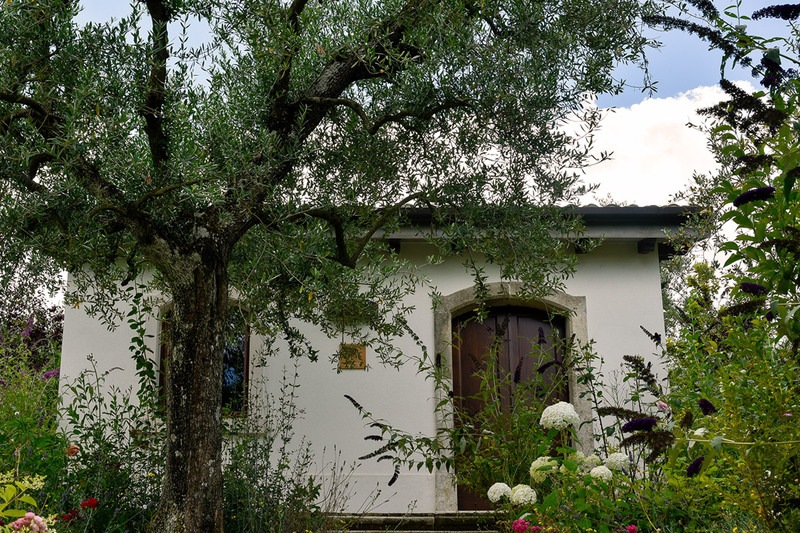 Four separate units, surrounded by the park and the olive trees, enjoy total privacy. Quercia, Noce, Olmo Ulivo, the four suites are characterised by a refined style and warm colours of wood, terracotta and fabrics.